The place of fall or discovery: Bondoc Peninsula, Luzon Island, the Philippines. Date of fall or discovery: FOUND, 1956. Class and type: STONY-IRON? (unusual); 70% of its polished surface of 255 sq. cm is stony class, 11% iron and 17% stony-iron (mesosiderite). Specific weight varies from 3.26 to 6.35. 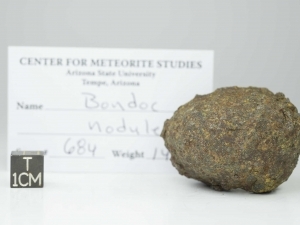 Circumstances of the fall or discovery: The meteorite was received by Dr. H. H. Nininger in August 1962 (Sedona, Arizona, USA). 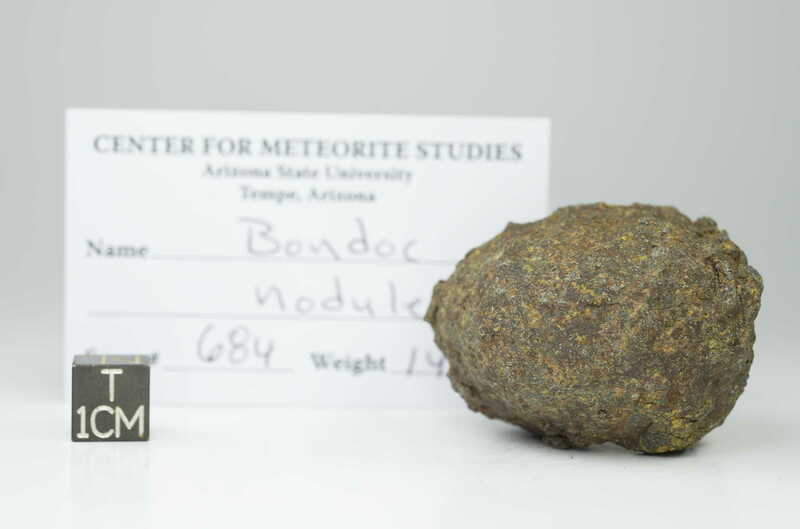 Source: Report of Dr. H. H. Nininger (Sedona, USA) to E. L. Kri­nov in a letter, IX, 15, 1962.